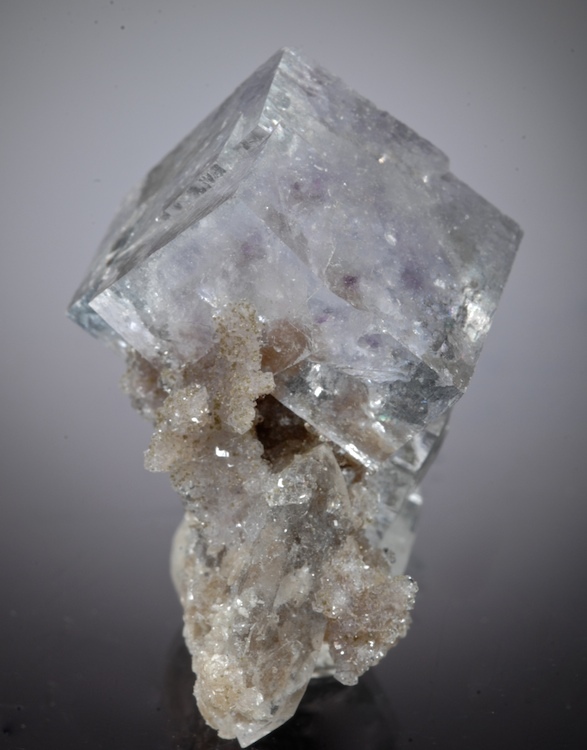 A perfect complete Carthage Corner habit Fluorite crystal showing the pyramidal etched growth that is so desirable from the Elmwood mine. A pale purple hue is seen from some angles but the interior is flawlessly clear and colorless. Naturally etched from the corner section of a large perfect cube this rare habit is best at the Elmwood in Carthage, Tennessee. A small bit of perfection, this is a transparent pale blue cube with purple core phantom perched on a small matrix of Quartz. Classic Yaogangxian Fluorite from finds of 2003 vintage, The condition is flawless. 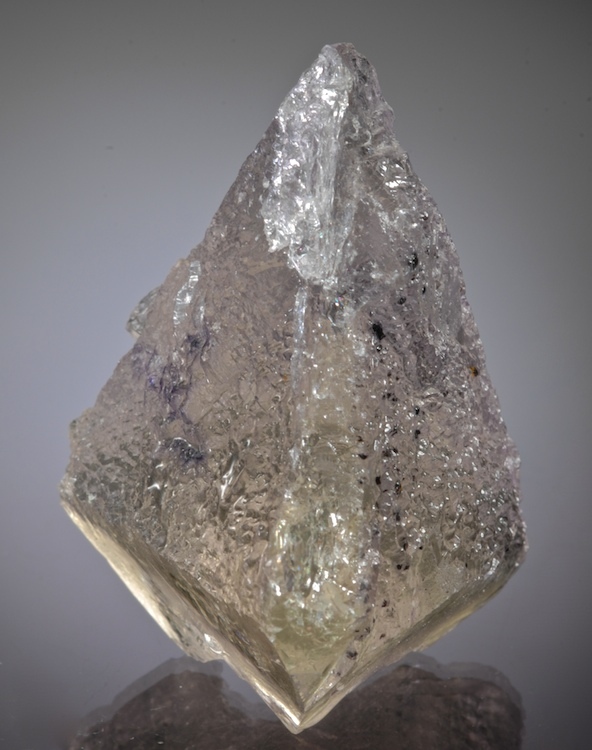 The Fluorite is sharp and more transparent than the photos show. This could be trimmed to thumbnail size for competition but we like it as is. Choice. 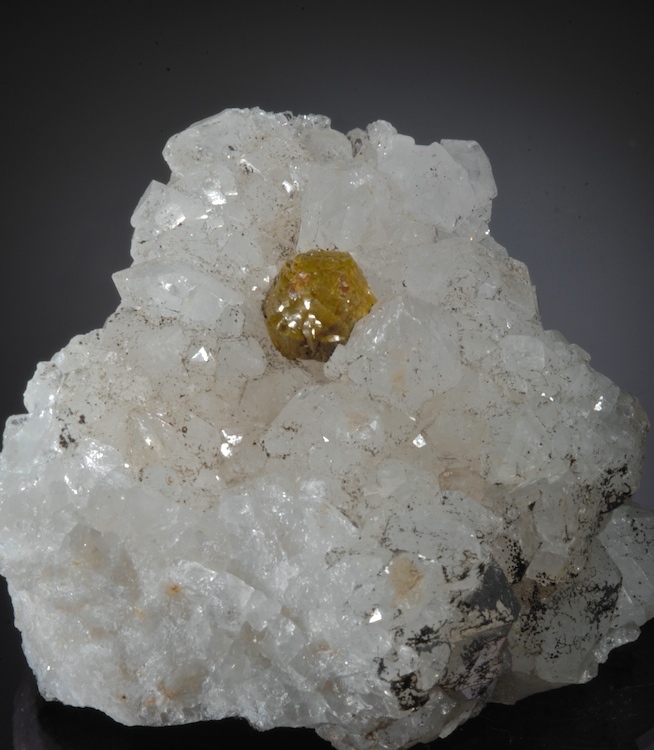 An attractive, clean and undamaged cluster of curved crystals of Mimetite resting on Milky Quartz crystals. 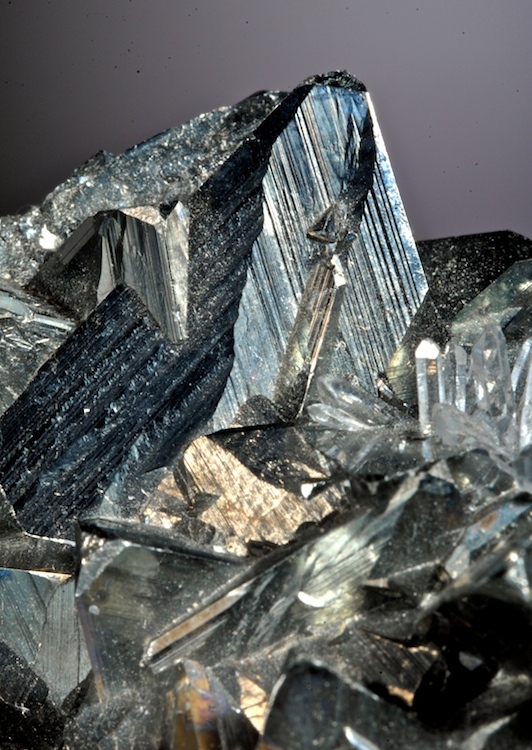 This cluster has the classic color and habit of Campylite which while not a recognized specie is still very distinctive. Good contrast and presentation. 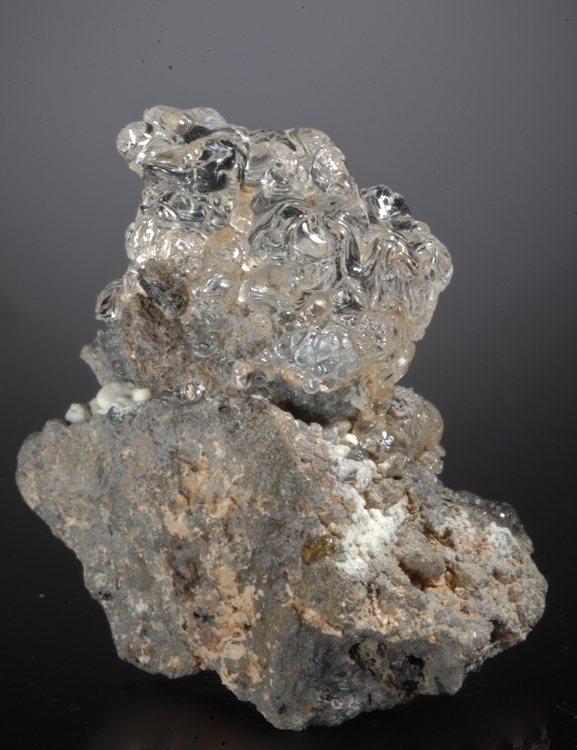 A glass clear bubbly mass of Hyalite opal perched on matrix. Vivid fluorescence, undamaged and esthetic. It is possible to easily see bubbles inside the Hyalite. Even prettier in person. 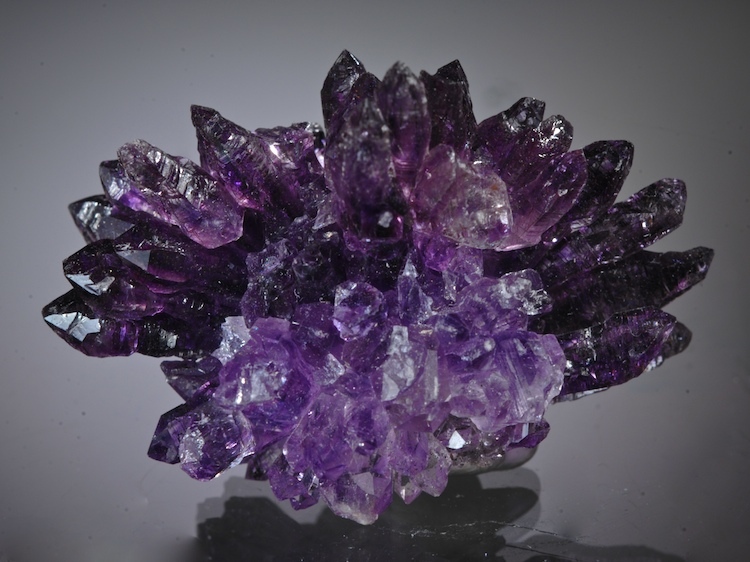 A sharp flower-like spray of Amethyst with Lepidocrocite needle inclusions. A choice miniature of rich color and luster from the unique finds at Karur in Southern India. Many of the individual crystals in the spray are sceptered, overall in good condition there are some broken crystals that keeps the price down yet are not distracting. 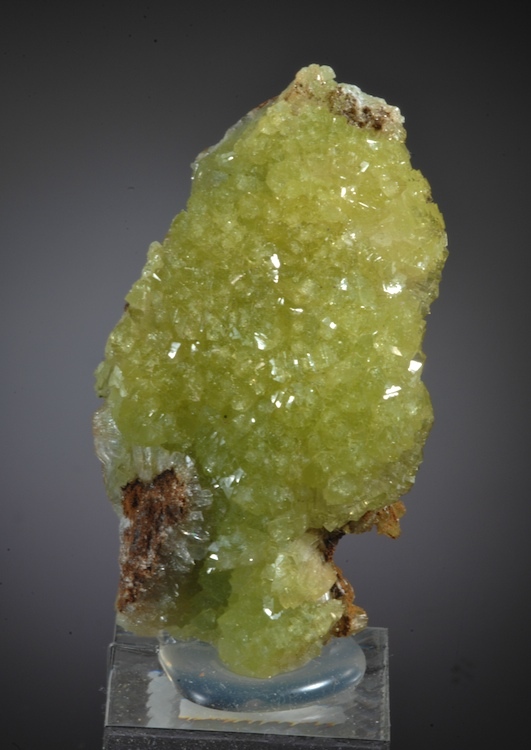 Bright green color botryoidal Adamite from the great Ojuela mine. In fine condition and with vivid SW fluorescence, Adamites in this form are classics. An attractive older specimen of better quality than newer finds. 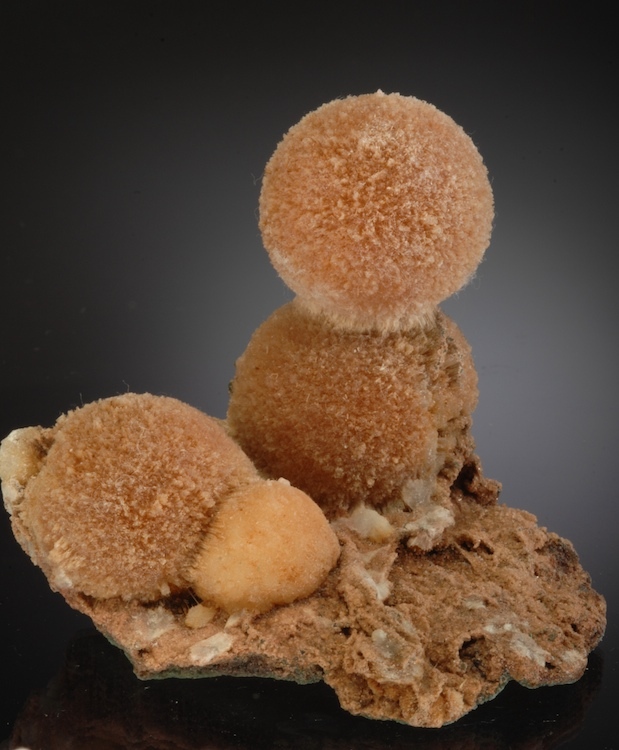 A killer cabinet sized Thompsonite with perfect spheres of radial crystals stacked like scoops of ice cream. One of the best pieces (and my favorite) from a small find about 4 years ago. Looks great from all sides, the orange color is uncommon for Thompsonite as well. A great addition to any Indian mineral or Zeolite suite there is no damage at all. Choice!